With my PADI Open Water Certification complete, we decided to rent dirt bikes and check out the island. I was a little worried about renting them because you have to put your passport down as collateral. You hear horror stories of people returning bikes with a minor scratch and the rental company wanting 16,000 baht (about 300 pounds) for the damage! You either pay it or risk losing your passport. Add to that Thailand being number one place for passport theft, you can understand why I was a little concerned. Kyle and Marc decided to take a risk though and handed over their passports as collateral. It seemed so dodgy as the rental guy just slipped the passports into his rucksack and away we went! I was a little scared of riding around on a dirt bike if I’m honest, my last go on motor vehicle put a prompt end to my hand modelling career and the millions these babies could have earned (lol). Plus, the roads were so dodgy!! 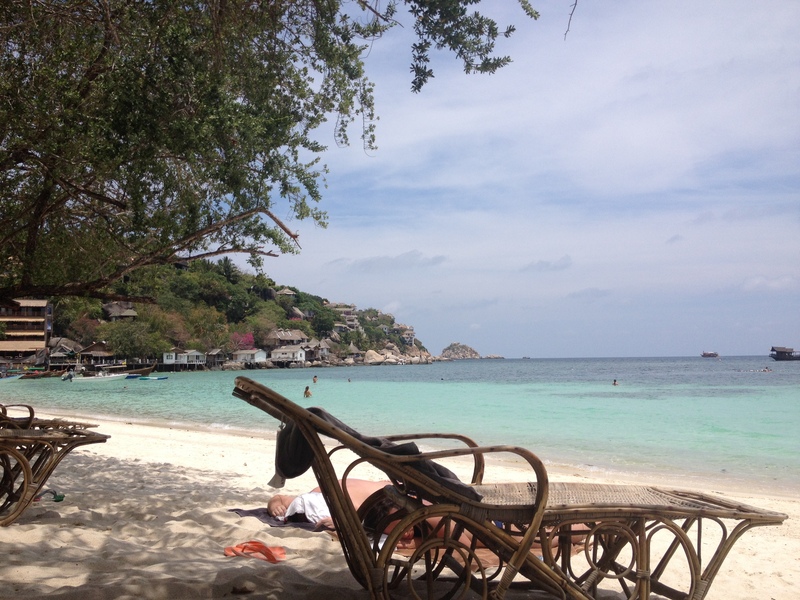 If my mum was here and Thailand was Lambeth Council, she’d be on the phone 24 hours a day! Anyway we took it slow and drove all around the island taking in the spectacular views. We went to some beaches and then made a stop at Shark Bay, where we were told there was a 90% chance of swimming with reef sharks. We got to the beach without any snorkelling gear though and the dive shop on the beach wanted 150 baht to rent them for the day plus a deposit of 1000 baht each! It was insane really but I guess you’re more likely to walk off with them if it’s only 150 baht to rent (3 quid). Anyway we didn’t have 3000 baht on us, but then this lady who worked at our dive resort was there and let us borrow her stuff. Snorkelling gear in hand, we swam past the safety buoys and to the rough location of the sharks and waited until we saw one. I saw the first shark and I was actually a little scared – I could hear the Jaws music in my head. It’s quite funny that I was scared because the shark was probably only a metre long! Over the course of an hour, we spotted about 10 sharks! Sometimes you could tell the shark was curious and would swim in your direction, and other times you could tell it was scared. It was so much fun. After an hour or so, we got out and got back on the dirt bikes to find somewhere to eat. 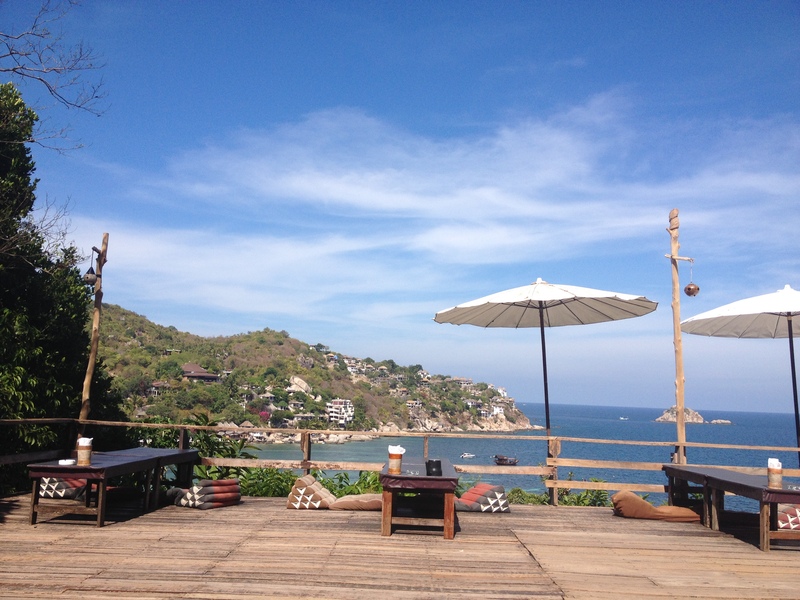 We stopped at this restaurant with amazing views over Shark Bay and took in the view over the best pad thai I’ve ever tasted. I know it sounds ridiculous given that pad thai is just fried veg and noodles, but the seasoning and quality was spot on. It was simply delicious washed down with some ice tea. Nom nom nom. We spent the evening watching our resort’s fire show on the beach. The people running the fire show made a huge skipping rope and set it alight and dumb drunk English people (always the bloody English) gave it their best shop. A couple of them managed a few skips, but the majority of the people we saw tripped on the rope and got burnt. I’m not quite sure what possessed these crazy people to do it really. We met this Australian guy on the beach who decided to take his chance at the skip of fire a few nights previous and had come away with a nasty nasty burn on his shoulder. He was all bandaged up – it was not pretty at all. Haha, imagine me on the phone to the thai authorities! Lol. Great post. 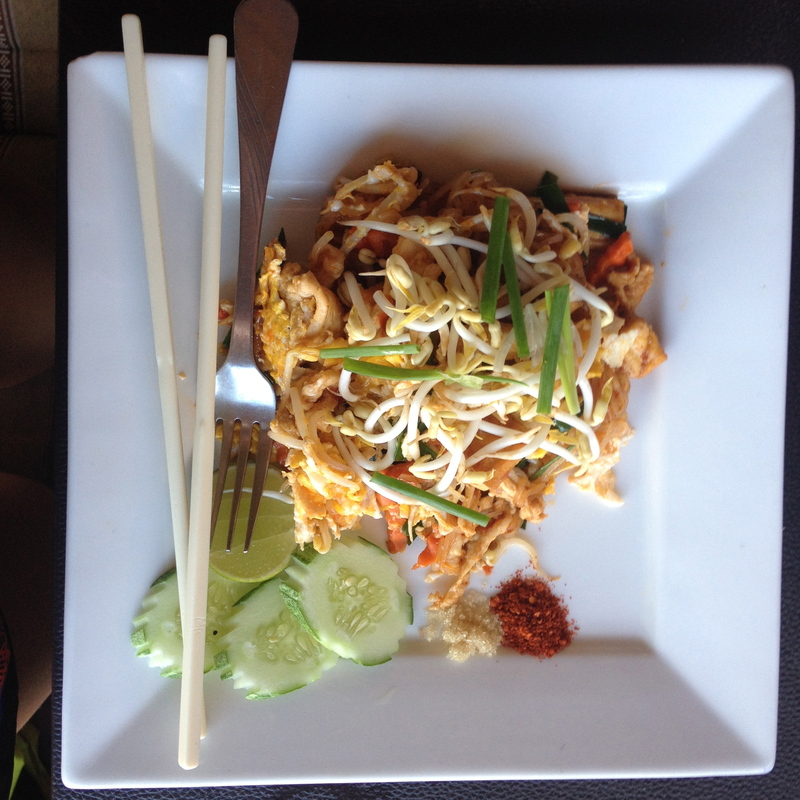 We want to see more food pictures…Unless you only eat pad thai?